"Ed you will be missed dearly. You had such a positive influence on my early life and you taught me many things. I believe you even saved..."
"We don't meet people by accident, they are meant to cross our path for a reason. I'm blessed that you crossed mine." Edwin R. Lasco, age 89 lifelong residence of the Lake Geneva area passed away on Sunday, October 14, 2018 at his residence. He was born on August 19, 1929 in Randall, WI to the late Walter and Victoria (Walas) Lasco. Edwin was married on October 9, 1954 to Vera Ambos in Chicago, IL. Edwin was an avid outdoorsman who loved to hunt, fish and enjoyed all the beauty that nature had to offer. Valuing his neighbors, friends and family he found the good in life and those around him while never speaking negatively against others. He was a treasured husband, father, grandfather, brother, uncle, neighbor and friend who loved spending time with each and everyone; especially his four grandchildren. Edwin’s great sense of humor was always welcoming, kind and genuine. He was a very skilled carpenter but also enjoyed looking up at the night sky and all the aspects of space exploration as well as being the master of jigsaw puzzles. He cherished life each day loving local sports, having a lifelong dedication to the Chicago Cubs and being a proud Military Veteran. He had a big heart and was quick of laugh and lend a helping hand. He will be dearly missed and Forever in Our Hearts. Edwin was the loving husband of Vera, the loving father of Gregory (Nanette), Lori (Michael) Olson and Kathleen (Gerry) Lasco. Proud grandfather of Garrett (Kaitlyn) Olson, Grant Olson, Emma and Haley Lasco. Edwin is survived by siblings Cymbelline Bauer, Edmond Carl (Patricia) Lasco, Barbara Becker and Donna (Bernie) Schyvinck. Also surviving are his brother-in-law Art Ambos and sister-in-law Betty Lasco, nieces, nephews, other relatives and many friends. He was preceded in death by his parents; brothers Walter, Richard and Theodore and sister Stephanie. A gathering of friends will be held on Thursday, October 18, 2018 at the Steinke-Lazarczyk Funeral Home (515 Center St, Lake Geneva) from 1:30 to 3 p.m. with a service at 3 p.m. In lieu of flowers, please consider a donation to The Natural Resouces Foundation of Wisconsin (www.wisconservation.com). Steinke-Lazarczyk Funeral Home and Cremation Services of Lake Geneva, WI is proudly serving the family. 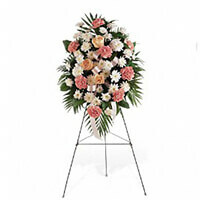 To send flowers to the family of Edwin R. Lasco, please visit our Heartfelt Sympathies Store. We don't meet people by accident, they are meant to cross our path for a reason. I'm blessed that you crossed mine. Greg, Nan, & daughters; In honor of your father, Ed; we would like to plant a tree. We know how much he loved the outdoors, and you all shared many great memories together enjoying gods creations in the fresh air. We hope his memory will live on in this living tree. Our deepest condolences, and love, go out to you in this difficult time. Ed will be dearly missed! What a bright light now shining on us all! We love you all! So grateful Ed was a special part of my life. May we all find peace and joy in the many memories.